Know about Pixma Printing Solutions application, look like this can help you to print without contacting the printer and from the most popular social networks. 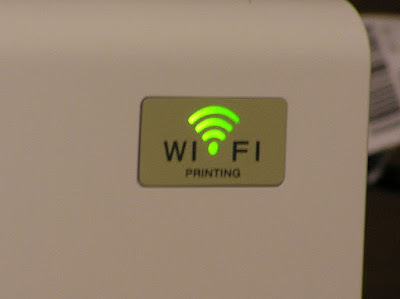 Today is very fashionable in printer manufacturers give the possibility to its users to print without the need for cables, thanks to a printer connection to the wireless or WiFi network. With this new tool Canon not become obsolete earlier forms of print wirelessly, only this manufacturer adds the ability to print from another computer do not have to see who uses the Mac OS or Windows operating system. In this blog we have seen ways to print on the Canon printer wirelessly even the most advanced mobile devices such as Samsung Galaxy, with this application can do it from anywhere in the world. Not only thanks to printing Printing Solutions Pixma you can scan documents from the printer and get the scanned file directly to our cell, ready to mail, store or share on social networks. Although its compatibility with previous released printers is not possible, the manufacturer promises that from now on will add the possibility of connecting through this application all your printing devices. Before you buy your new printer check if you have a connection or ability to connect with the Pixma Printing Solutions software, although printers Canon today can print almost all one way or another with any application without the need for wires. This new application is discussing with previous applications AirPrint compatible with Apple mobile devices, Google Android Gloud Print compatible mobile devices and any computer running the Google Chorome, Mobile Printing Device browser this was the first application available from Canon which could print from any mobile device without cables. The advantage of this application compared to the others is that this software compatible printers to be connected directly to the router so, we need not share the printer and that this is connected to a computer to make it work. When the printer is connected to the router and installed the mobile device either phone or tablet can connect directly from the mobile can even watch your host device ink levels in the printer. The ability to print documents compatible with this method is huge, a person who engages in photography can use this application directly to print any image taken in a moment of inspiration. You can get any cell directly to your scanned photo and edit or merge with other photos already have in our device, whether smart phone or tablet, this application is available in Google Play and Apple Store. Thanks to this application you can print from your Twitter, Facebook, Photobucket, Google Picasa, Dropbox and others. To print from anywhere in the world needs to register with the Pixma Printing Solutions page where you have your printer to print and scan documents from anywhere in the world.